Available to buy in other markets since January, the LG K10 will be soon released in the US, as T-Mobile is reportedly getting ready to sell it starting May 18. According to TmoNews, on that day, T-Mobile will also launch the Samsung Galaxy J7. Sporting a 5.3-inch IPS display with 720 x 1280 pixels, the LG K10 is not a high-end (and not even a mid-range) smartphone. The handset is powered by a quad-core Snapdragon 410 processor, and offers 16 GB of expandable storage space, LTE connectivity, an 8 MP rear camera, and a 5 MP front-facing camera. Right now, the K10 runs Android 5.1 Lollipop, but LG and T-Mobile could update it to Marshmallow before launch. 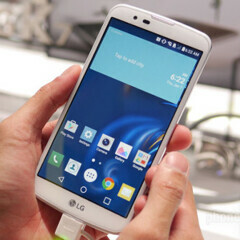 For a closer look at the smartphone, check out our LG K10 hands-on. The K10 will be the third LG smartphone that T-Mobile is introducing this year, after the K7 and the G5 flagship. As for the Samsung Galaxy J7 that's headed to T-Mobile, this isn't the 2016 model, but the one released last year, which is already available from Boost Mobile. The handset will run Android 6.0 Marshmallow out of the box, sporting a 5.5-inch AMOLED display with 720 x 1280 pixels. Other features include an octa-core Snapdragon 615 processor, LTE, 13 MP and 5 MP cameras (both with LED flashes), 2 GB of RAM, and 16 GB of expandable internal memory. At the moment, there's no word on the prices of these upcoming T-Mobile smartphones. But we're pretty sure that both will be affordable. Any takers? patiently waiting on the 10, I even work there and I get no damn updates, sigh. The J7 doesn't even have compass. Seriously. The HTC 10 Will be out this month in Select T-Mobile stores and available online and over the phone.